“Japanese Salon Schools,” The Strad (December 2008): 48-52. “Toshiya Eto, 1927-2008” (Obituary), The Strad (June 2008): 25. 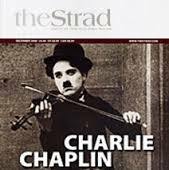 “Made in Japan,” The Strad (May 2008): 58-64. “Land of the Rising Sisters,” The Strad (May 2007): 60-64. As the Carpathia steamed towards New York with the survivors from the Titanic, some of them, sensing that they had witnessed a momentous event, began to make notes of what they had experienced. Two of them, Colonel Gracie and Lawrence Beesley, would soon publish detailed, carefully researched accounts of the disaster, which have since seen several re-issues. Both men held forth on the qualities of the Anglo-Saxon or the Teutonic race, to which they attributed the conduct of the men and women in the last hours of the Titanic. With such an attitude commonly prevailing, it is small wonder that no one on the Carpathia showed any interest in an Asian writing down his own experience of the previous night in a letter to his wife. He wrote it on a piece of Titanic stationery, on which he had begun a letter in English on 10 April, only to discard it. To most witnesses of the disaster the Asian survivors were “Chinamen, “Japs” or “Filipinos” (they cared not which), and they had saved themselves as “stowaways” or had jumped into lifeboats against the officers’ orders. And of course they travelled third class. “The Right History? Historical Scholarship and History Education in Japan”, NIAS nytt 4 (2002):10-11. As I write this, Japan’s Historical Association (shigakukai), founded in 1889, is preparing to celebrate its one hundredth conference (the conferences have been held annually since 1890 except for the last years of WW II). This event is not likely to receive much attention outside Japan; a gathering of historical scholars, however eminent, attracts little public interest. When the Western public shows any interest at all in how the Japanese relate to their past, it focuses on Japan’s perceived inability to acknowledge its role as an aggressor in the first half of the twentieth century. One example of this is the latest textbook controversy, which was reported widely in the Asian and Western press. It was provoked by a book licensed in 2001 and entitled New History Textbook (Nishio Kanji et al., eds, Atarashii rekishi kyôkasho, Tokyo: Fusôsha, 2001). The editors are members of a group called the Japanese Society for Textbook Reform, and their stated aim is to produce history books that foster pride in Japan’s achievements rather than dwell on its failures. The controversy surrounding the textbook and its portrayal of Japan’s aggression in Asia is political rather than one of historical scholarship. You can find the relevant issue of NIAS nytt here.